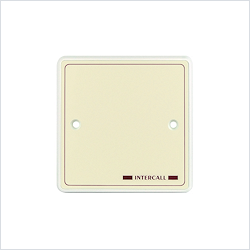 The Intercall 700 system is a feature rich system featuring high quality, two-way speech. It offers a wide range of easy-to-use triggering devices for the patient or resident as well as complete event recording facilities for managers or team leaders. In addition, the 700 System can normally be installed directly into an existing wiring system, keeping disruption to an absolute minimum. The 700 System audio call points feature hands-free two-way speech with an audio page facility, configurable emergency ‘crash call’ button and ten levels of call including ‘priority’ and ‘attack’. 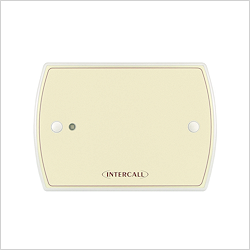 The Intercall 700 system has been designed to offer total flexibility of configuration, making it the ideal solution whatever the individual requirements of the home or hospital. Furthermore, because of the system’s inherent flexibility, you can easily add extra call points, display units and a wide range of additional features as and when you need them. 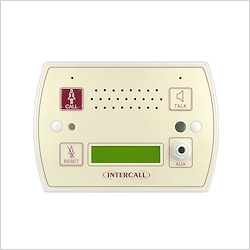 It provides hands-free two-way speech facilities between all audio units, with ten levels of call priority, and using the latest power supply with built-in call logging software enables you to store all Intercall activities on a standard personal computer. 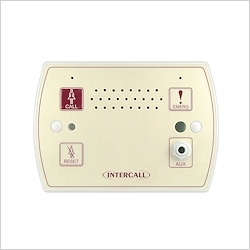 In addition, using the latest power supply with built-in call logging software, you can store all Intercall activities and manage them via a standard personal computer. With its unique combination of flexibility, simplicity and efficiency, Intercall 700 is the undisputed market leader in nursecall systems. The audio display unit provides a description of the call type generated as well as the location and identity of the caller. The unit features a 2-line, back-lit display, a multi-function audible alarm, two-way intercom facilities and an audio page facility to all other displays. The L753 is a versatile audio call point used on every individual audio call location on the system. 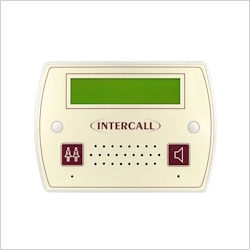 It features 7 levels of call, hands free two-way intercom, integral infrared receiver, audio page facility, reassurance LED and ‘call follower’ sounder. 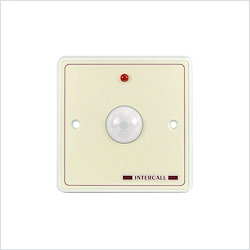 The older model L752 audio call point can be supplied for use on existing Intercall 700 systems where retaining a uniform appearance throughout the home is desired. The L762 Call/Display Unit provides all the combined features of the L752 Audio call point and L758 Audio LCD display. When staff are present, it will display other calls on the system in full alphanumeric text, so staff can accept calls and speak to other callers elsewhere on the system without having to leave the resident’s room. The L722 unit features a built-in infrared receiver and can be activated using the TIR4 infrared pendant, worn around the neck. This makes it ideal for use in communal lounges so residents with limited mobility do not have to stand up to make a call. If you need to protect fire doors, entrance & exit doors or other sensitive areas, the L733 is the ideal solution. The unit is controlled with a magnetic key token, which performs all functions when swiped on the front panel. 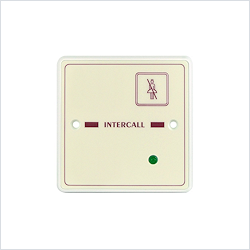 The unit also features an integral 20-second exit timer with audible alarm tone and mode jumper to prevent sensitive or dangerous exit doors being permanently left open. Discrete but clear indication above a door that shows the status of the call points inside the room. The L746 can also be used to monitor several call points for end of corridor indication, or as a "follow me" light. Each unit is fitted with twin ultra-bright LED’s which mimic the reassurance indicator on the call points. The L7700 has the capacity to power an entire Intercall system with provision in the enclosure to accommodate a battery for system backup requirements. The unit features an integrated embedded web server used to configure the system configuration, data log access and remote monitoring. In addition, the unit features an onboard calendar clock and disk drive which records all system activity and configuration settings. The L717 may be used with smaller Intercall 600 & 700 systems and the unit provides power and data signals for the network devices and stores the text programming information. The L717 is programmed using the LIMK Limkit programming kit and software. Specifically developed to give alarms from bathrooms and toilets. The unit is ceiling mounted and features a floor length cord terminated with two easy to use handles. 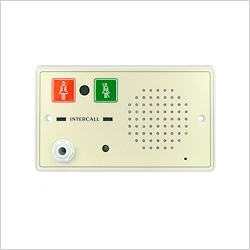 It also incorporates an integral reassurance indicator, which flash to confirm a call has been generated. The FJB2 provides four spur outputs from the network spine with each output incorporating a over current/voltage and reverse polarity protection device. In the event of a cable fault on one of the outputs the spur will be isolated without disabling the entire cable network. 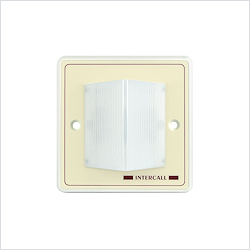 In addition to the standard units which are available for all Intercall systems, there is a wide range of accessories which have been specifically designed to make your system more adaptable for a variety of needs. In particular the range includes the accessories below which enable patients with virtually every level of disability to use the system with ease. In addition to the standard range of accessories, we also manufacture bespoke accessories to suit a particular requirement. To find out more about these, please contact us. The L744 RFID Door Monitoring & Access Control Point is designed to restrict sensitive areas from unauthorised access by generating an alarm on the call system and controlling the door locking mechanism. 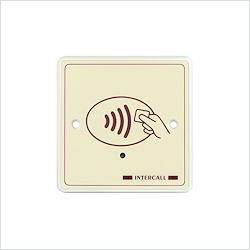 Authorised staff carry a proximity card, which isolates the unit and unlocks the door as required and access levels can be set for each card. 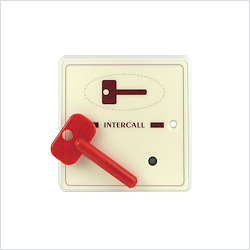 A slave device where additional call units are required to ensure residents are within reach of a call point without incurring the expense of an addressable call point. Slave Reset provides the ability for staff to log into a room as staff member present or to reset a call from an alternative location to the bed head call point. Often located adjacent to the bedroom door to allow staff to carry out night time checks without disturbing the client. The L634 is used to interface external devices to the Intercall system network. 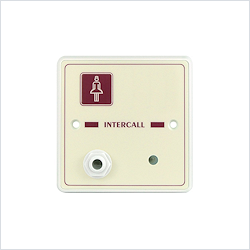 Typically telephone ringing detectors (with TA1), contacts from fire alarm or other control panels or input from remote contacts. L714 Remote sounders are designed to boost audibility of display panels throughout the home. Ideal for areas where the display may not be heard clearly, such as laundries or kitchens. 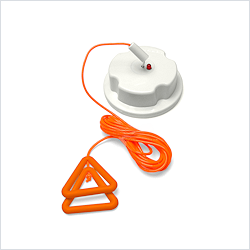 A movement detector designed to monitor when a resident leaves their own bed or enters an area of risk. 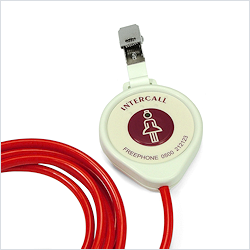 Enables residents to call while away from the call point. Available in two cable lengths, with clips for securing to bedsheets and clothing. Ideal for users who have limited mobility, the TIR4 pendant is worn around the neck and provides a quick and easy way for residents to make a call. 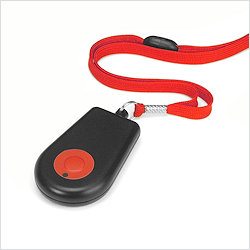 Simply press the button on the pendant and a call is sent via infrared to the nearest call point. 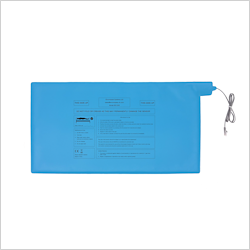 The SSD-PM2 pressure mat has been specifically designed to assist with fall prevention. Positioned alongside the bed or in a doorway, the unit will reliably alert staff when a resident is on the move without being intrusive. Detects when someone has left their bed or chair and sends an alarm signal to a nurse call system, staff pager or alarms locally in the room.